It is halfway through the year, and the UK casinos in 2018 have had their fair share of ups and downs. The casino industry has grown by leaps and bounds, and they have benefited from high revenues. There are happy players who have also managed to bag tons of cash in the process. 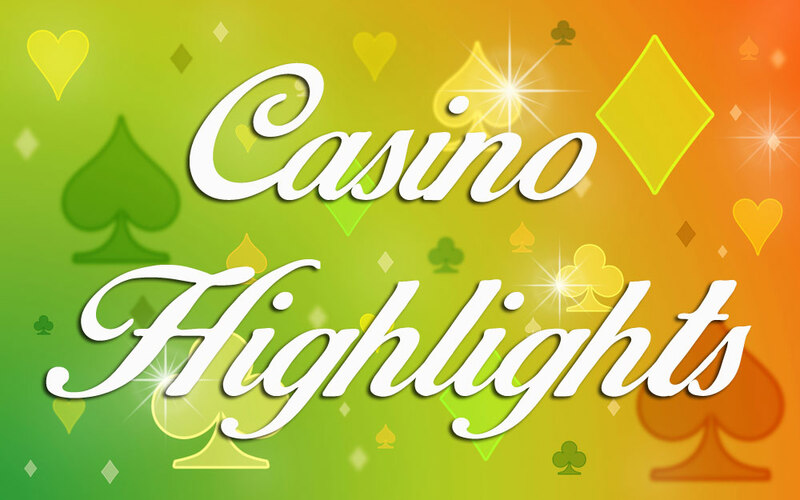 Here are some highlights from the casinos’ world. We usually see casinos as the takers, but this is not always the case. They also do something philanthropic with all the money they collect from players. A good example is the Microgaming Company, a leading casino games provider. It has donated £30,000 to four life-saving charities in the UK, Africa, Europe and Isle of Man, among others. This means that despite the negative casino news out there, something good can come from this industry. The reason is that the industry can also show a gesture of kindness by considering the less fortunate. Although they make billions from players, it is great to know that they can use a fraction of their profits to give back to the society. The Microgaming PlatItForward initiative is community-driven and focuses on the social pillars of health and education. This initiative has been operational since 2014, sponsoring, raising money and assisting gifted students to get admission to the universities they have always dreamt of. Microgaming calls this program the Gift of Giving and it gives players an opportunity to vote for the charities they believe deserve a boost. Their vote was cast in December 2017, which led to £30,000 being divided equally to the four regions. This year, four charities received the most votes, including The Women’s Refuge in the Isle of Man, Save the Rhino in Africa, Teenage Cancer Trust from the United Kingdom, and from the rest of the world, The Medecins Sans Frontieres took the lead. Hard Rock Café is known very well in the UK by those who frequent casinos. They have announced that they will be opening a new branch in New Jersey. This will see more than 1,000 jobs being created for construction workers. Once the construction is finalised, more than 3,000 people will benefit from permanent employment. This branch is set to bring joy to the Atlantic City, and maybe, even good luck. Similar to all the Hard Rock Casinos and Cafes, people should expect a wide selection of casino games. These will include more than 2,000 slot games and over 120 table games. This will be the perfect place for those who do not have a specific favourite game as they can spend the whole day in this casino playing different games. This is not all; one of the biggest casino game providers has been selected to partner with Hard Rock Café. Their slots are going to be featured in the new casino. The provider is the NetEnt, a Swedish casino specialist. This partnership is well-deserved as they have some of the most loved casino games. The NetEnt slot game is loved by many, and this might be the reason Hard Rock decided to get them on board as it will increase their popularity. All casinos come with own terms and conditions that players have to read before playing. There is also a choice of self-exclude from an online casino. This is a sensitive subject as many gamblers have realised that they have a problem with playing casino games and would wish to stop being associated with the industry. Whenever players decide to self-exclude to overcome their addiction, they expect casinos to cease further communication with them, and this includes emails, notifications and tempting free spin bonuses. Any licensed casino is mandated to offer its customers the freedom of self-excluding. It should also remove the player’s card details and personal information permanently from the site. However, this was not the case with LeoVegas, a popular online casino. This casino is one of the most reputable in the UK and globally. It is famous for its amazing mobile casino platform. However, it has been fined heavily since it failed to refund deposits to more than 10,000 players who had chosen to self-exclude. The UK gambling commission fined the casino more than £600,000 for this mistake, which has brought grief to the company. It is also mandated to refund more than £14,000 to customers in the settlement. Part of the fine also included 41 misleading adverts that failed to disclose the correct terms and regulations on all the promotions from April 2017 to January 2018. These are just some of the big casino news in the UK, and there is more in this industry to look out for.